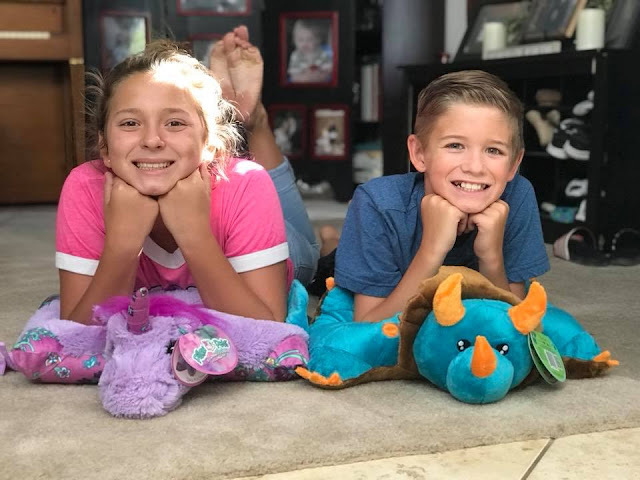 One Not So Bored Mommy: It's A Pillow...It's A Pet...WE LOVE @OfficialPillowPets SO MUCH! 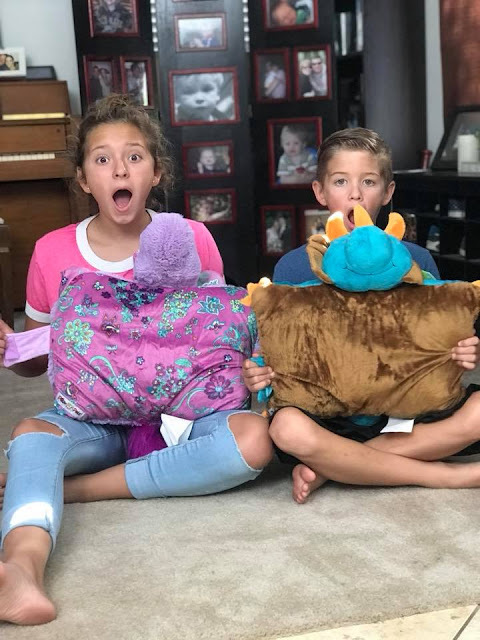 It's A Pillow...It's A Pet...WE LOVE @OfficialPillowPets SO MUCH! 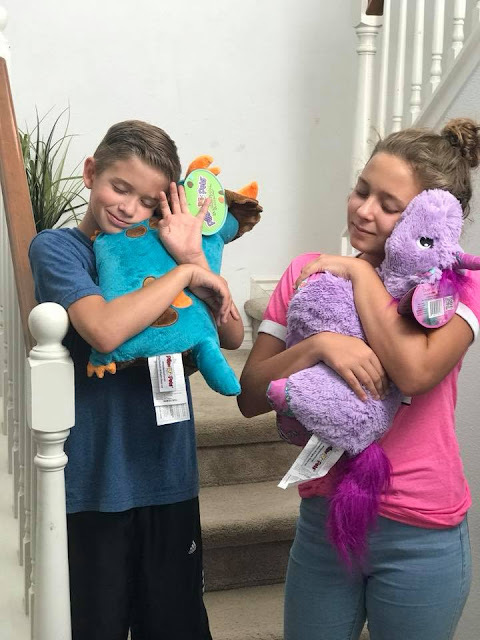 My kids are growing up so fast! I remember when a company first launched a product that was basically the desire of EVERY SINGLE child in the USA. It also had a trendy, catchy jingle that my kids new by heart...and I'll admit I've caught myself singing it a time or two, too. 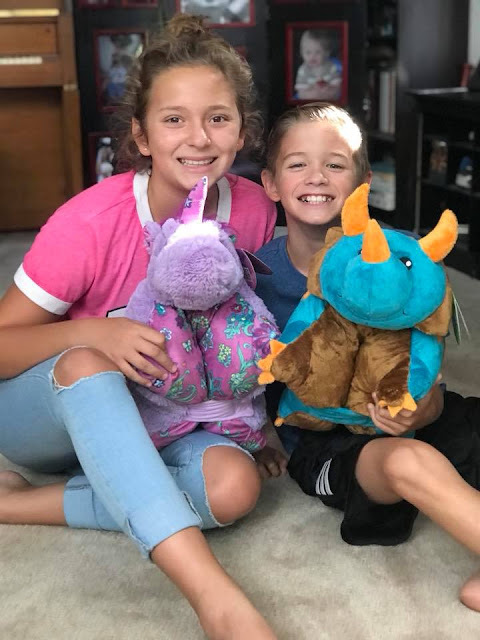 YOU KNOW...those adorable, plush, super soft stuffed animals that magically (with a quick un-velcro) become a pillow for your kiddos to sleep on. 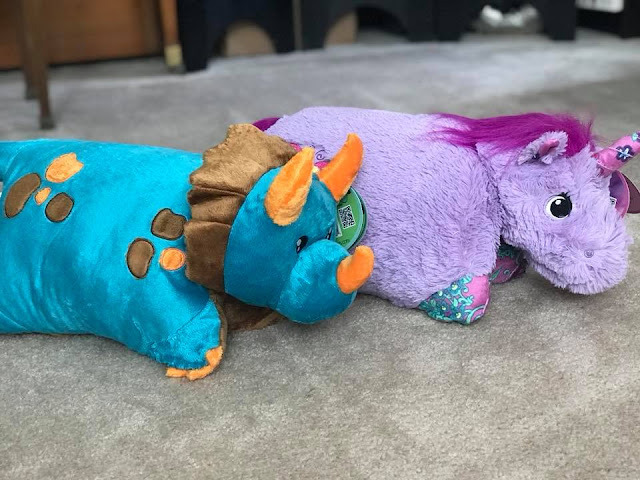 There was a time when all four of my kids were begging me for one of these awesome plush pillow friends. Funny thing...my kids still LOVE them even now! 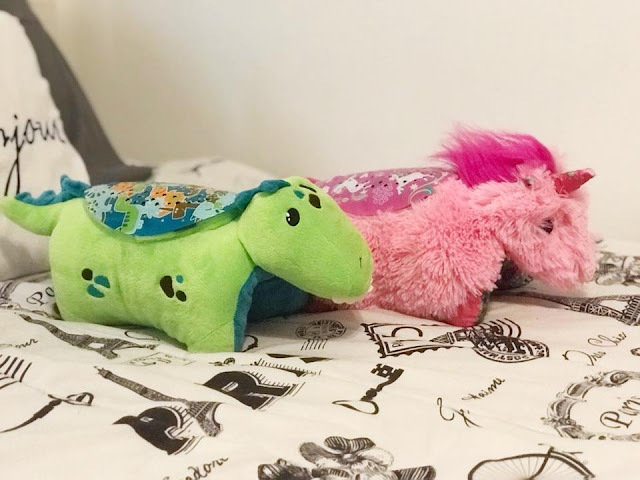 Pillow Pets have never gone out of style and probably never will. 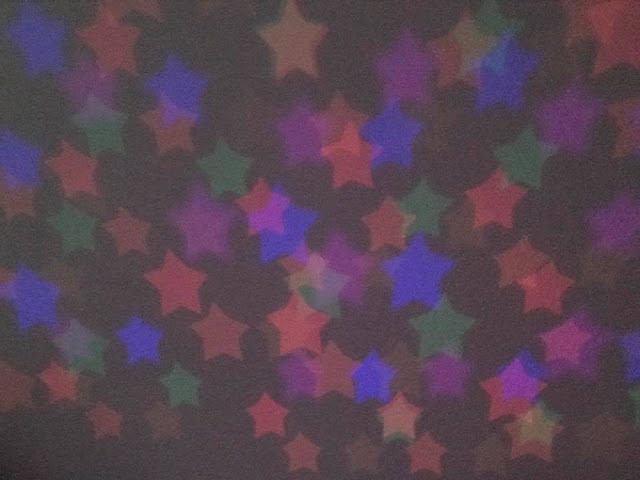 They even have Disney ones too! HOW CUTE, RIGHT? and just to just simply have fun with! 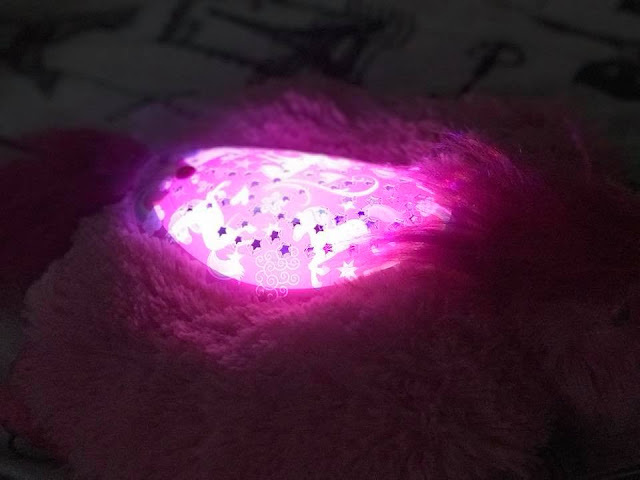 We also got a couple of their SleepTime Lites Pillow buddies. 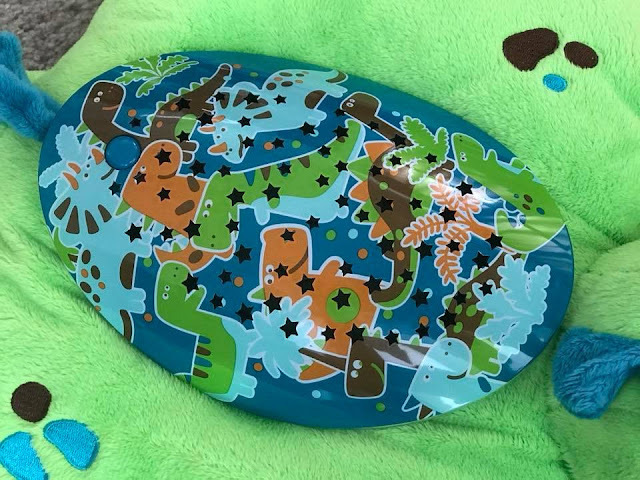 and now he'll be adding this adorable Green Dinosaur SleepTime Lite too. 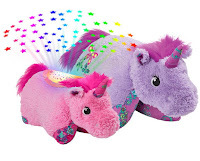 Plus, this adorable Pink Unicorn SleepTime Lite will be giving the girl's room a little added glow. 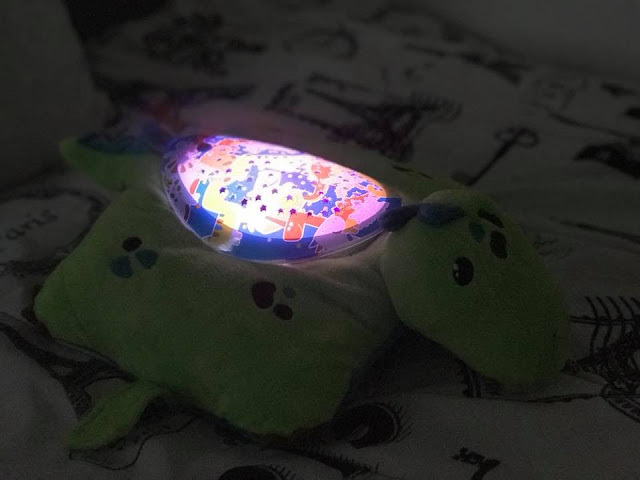 These SleepTime Lites Pillow Pets are awesome too, because you press the button and if you have it set on timer mode, it will stay on for 20 minutes and then shut off (saving the battery and you from having to go in and do it before you go to bed). I LOVE THIS FEATURE SO MUCH! 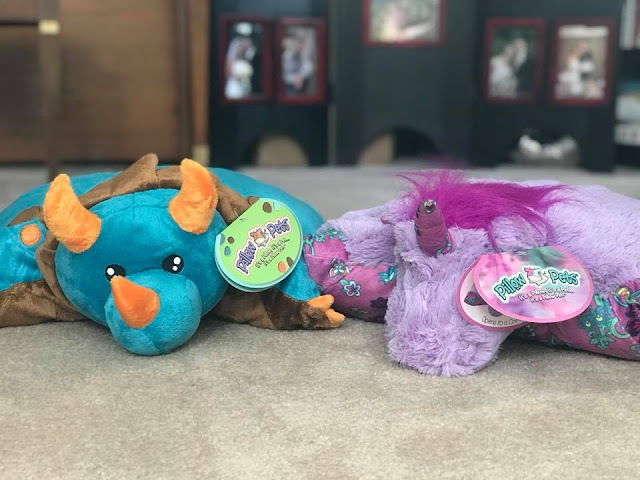 The Pillow Pets and SleepTime Lite Pillow Pets are also sold in pairs...to save money and give you the bonus of having both the pillow and the lite, as a combo. AWESOME! 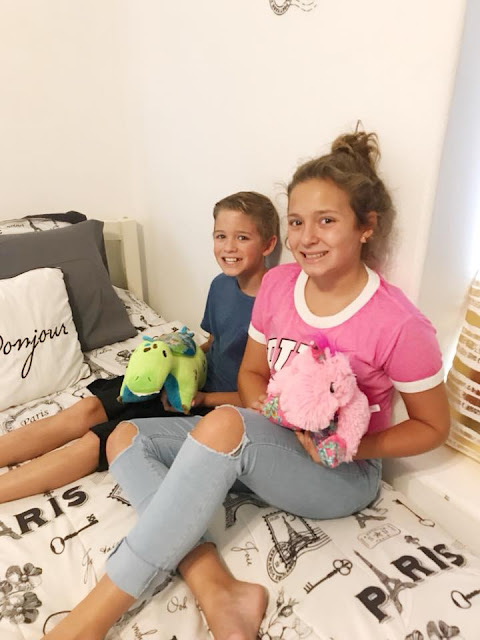 CLICK HERE to check out the full line of PillowPets and SleepTime Lites that they offer...and be prepared to buy a few for your kids! 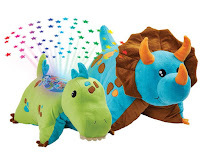 They will love sleeping with them, on them and playing with them too! Cause it's a Pillow, it's a Pet...It's a PillowPet!